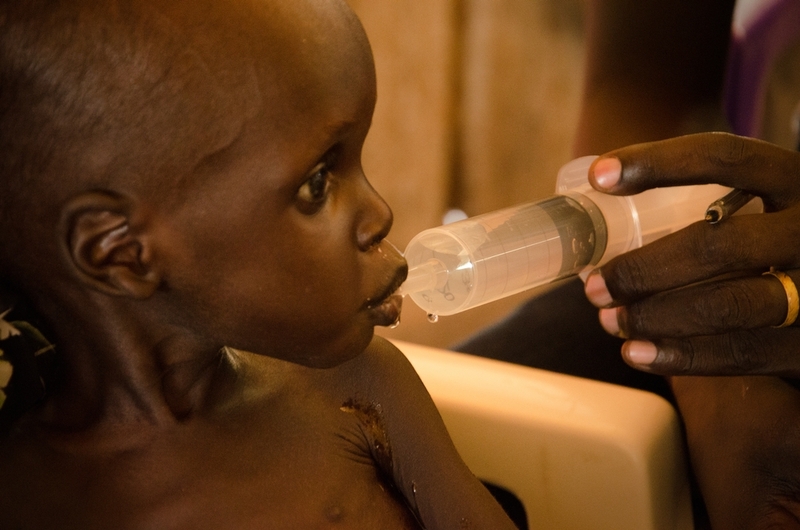 A surge in the number of emaciated children arriving at a feeding centre in Leer, a muddy rebel-held town in South Sudan’s oil-rich Unity State, is fuelling fears that the world’s newest nation is on the brink of famine. Food stocks are running low across conflict-ravaged northern regions of the country, aid workers say, and the onset of the rainy season has dashed hopes that South Sudan’s displaced subsistence farmers will plant enough crops to feed themselves. The country is the size of France but has hardly any paved roads and the United Nations and humanitarian agencies are struggling to provide aid to remote regions. Even aircraft deliveries are dwindling as rain soddens dirt roads that act as air strips. The charity Medecins Sans Frontieres (Doctors Without Borders) said it had treated about 1,800 malnourished children at its feeding centre in Leer since mid-May. In 2013 it treated 2,300 children during the whole year. Her three-year-old son weighs just 2kg because of acute malnutrition, whereas a healthy three-year-old in South Sudan would normally weigh 10-12kg, according to a paediatrician in Juba. The UN has warned for months that a famine looms if there is no end to fighting that erupted in mid-December between the government and rebels. More than a third of the nation’s roughly 11 million people could be on the brink of starvation by the end of the year, UN officials have said.